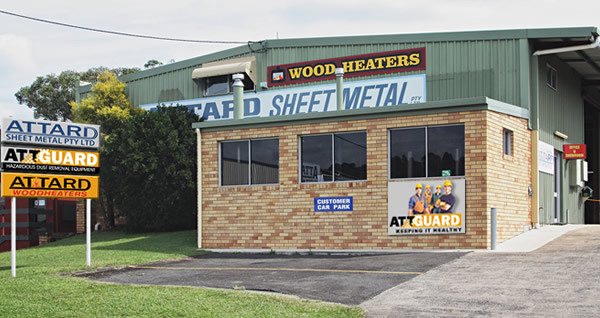 Attard's in Lismore is the business in the Northern Rivers area with the know-how and decades of unsurpassed expertise to design and fabricate your Sheetmetal products for home and industry. We stock a large range of various metal sheet products, including galvanised steel sheets, stainless steel, Colorbond, zincanneal, zincallume and copper which are designed to suit most needs. We're the people with the know-how and decades of unsurpassed expertise to design and fabricate sheetmetal products for home and industry. We stock a large range of various metal sheet products and those hard to find tray back locks, hinges, latches, gas struts and toolbox hardware. Supply of Galvanised, Stainless, Colorbond, Zincanneal, Zincallum, Aluminium and Copper sheets. Precise Cut & Fold service. Sheetmetal ductwork for airconditioning, ventilation and exhaust systems. Stainless Steel commercial Kitchen exhaust hoods and associated exhaust systems. Stainless Steel kitchen benches, frames and splashbacks. Stainless Steel wall shelving for home and industry. Specialised stainless steel chutes, conveyor covers, etc, for various processing plants including the macadamia and coffee industries. Contemporary or Heritage roof ventilators and awnings to match the style of the building. Local suppliers of the popular Eximo SpeedLock Ducting systems. We've been in the Wood heater sales for over 28 years and stock all major brands, so we know a thing or two about wood heaters and offer a complete installation service with standard or custom made safe Heater Flue Systems. We're your one stop shop for the complete woodheater experience.